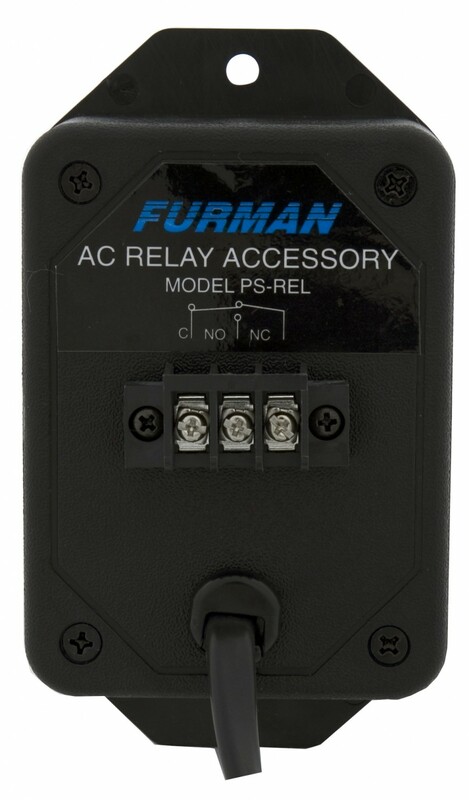 The PS-REL AC Relay provides an alternate way of closing switch contacts. 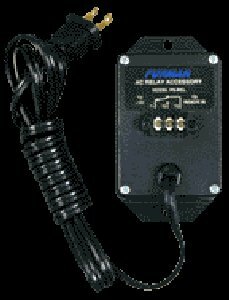 Instead of being operated manually like the RS-1, it is a relay that detects the presence of AC power and, in response, closes relay contacts that are wired to a terminal strip. 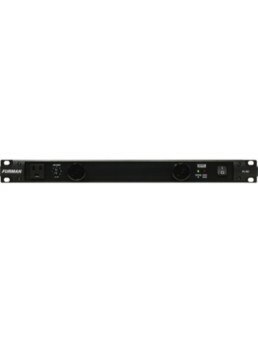 It may be used with any of the Furman products mentioned in connection with the RS-1. A PS-REL is useful in determining when a certain outlet has come on after a sequenced delay, to extend that outlet’s capacity. It may also be used to extend the capacity of the switched outlet found on many home theater receiver/amps. In this way, a wireless remote can turn on the receiver, which in turn powers its switched outlet, which triggers the PS-REL, which then activates a Furman PS-8R or PS-PRO Power Sequencer, MiniPort, or PowerPort system capable of switching many large power amps or other power-hungry equipment in multiple locations.